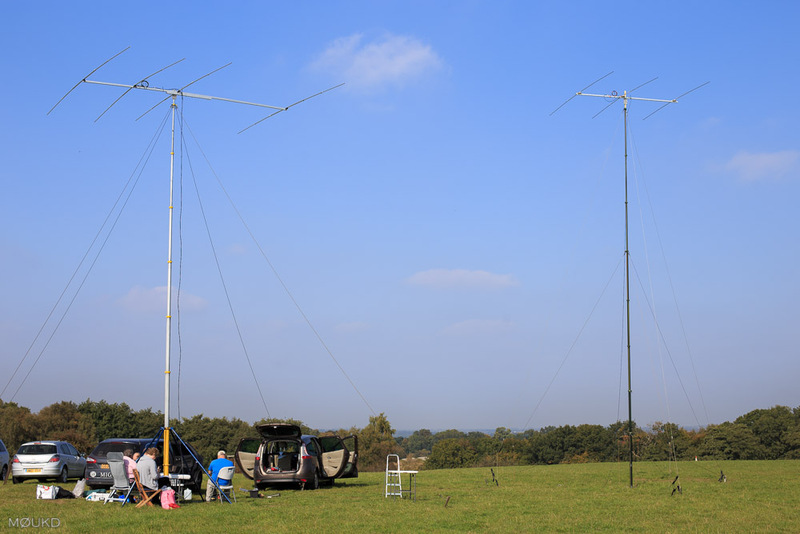 The 15m and 10m beams. 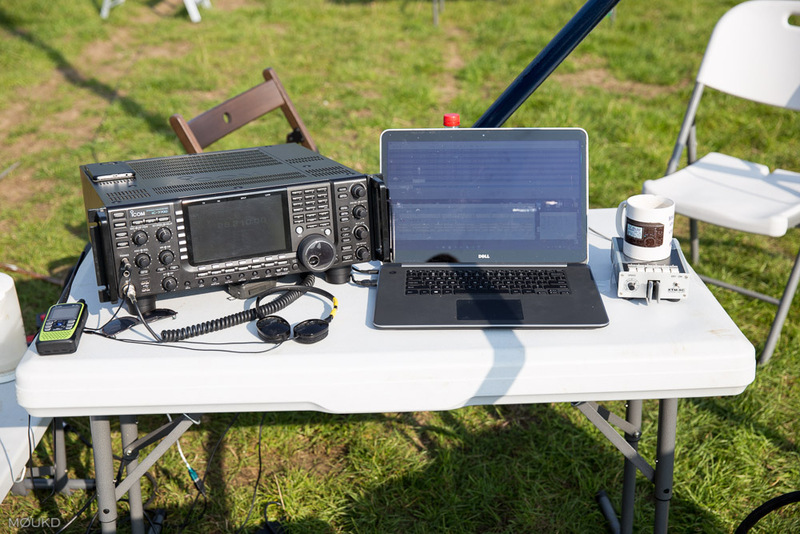 A few of us decided to have a go in the RSGB 21/28MHz contest on Sunday. We used Georges call, M1GEO and a combination of equipment from us all. I brought my 3 element 28MHz Yagi, Dave M0TAZ brought the two masts and his 21MHz 4 element Yagi, while George and his dad brought the Icom IC-7700 and generator. Fred G3SVK also came and done some CW. UK stations can only work outside the UK and non UK stations can only work UK stations. This made it quite hard work as there was not much activity due to the bands not being in good shape, especially 10m. We could hear some beacons though, although not strong, we received a beacon in Brazil and one in Argentina. We did work some good DX however, including South Africa, Uruguay, Brazil and VP8NO in the Falkland Islands on 28MHz. Still, we had fun operating outside in the October sunshine for possibly the last time this year!